Imagine to take a journey to the bottom of the earth among minerals, rocks, and salts. A trail made of curves and intersections where every move is a step towards wellness and beauty: Ischia’s precious thermal water. And now imagine being at the end of the journey and enjoying its magic: our wellness center. 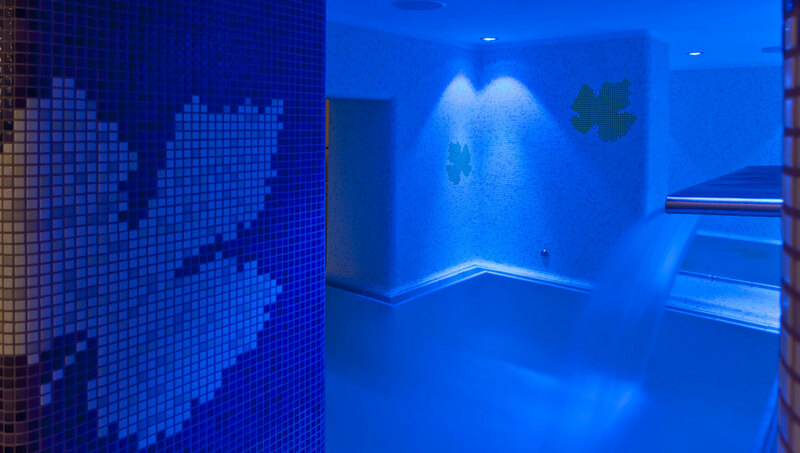 The indoor wellness area features everything you need to unwind and feel beautiful. 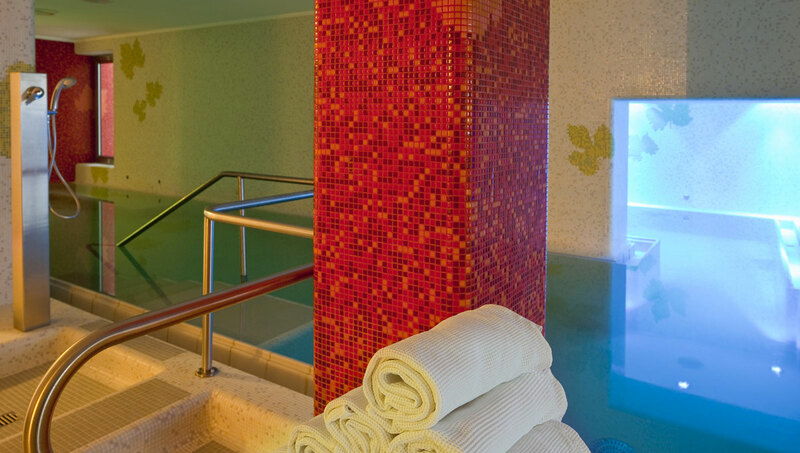 The big thermal pool is decorated with a mosaic representing vine leaves. 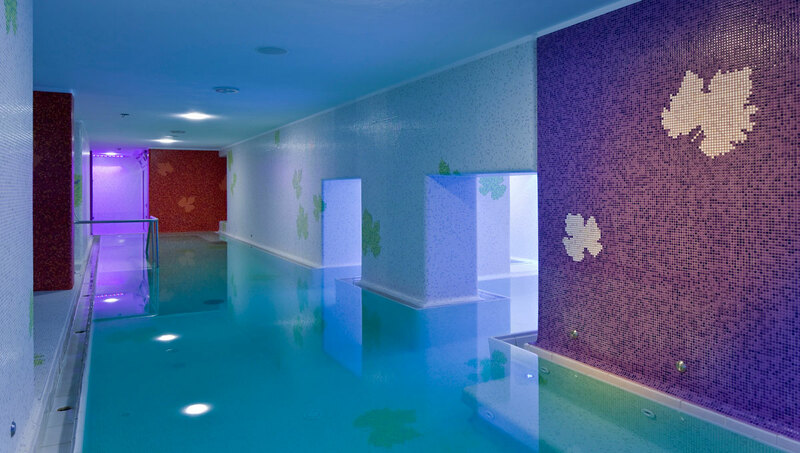 Its curves recall the shape of the vine vats that inspired the pool’s design. Benches are placed by the soft whirlpools nozzles and line the pool’s sides: two nozzles, located in the main vat, aim at the back and cervical areas, three nozzles, located in the curves by the waterfall aim at the cervical area, back, and legs. 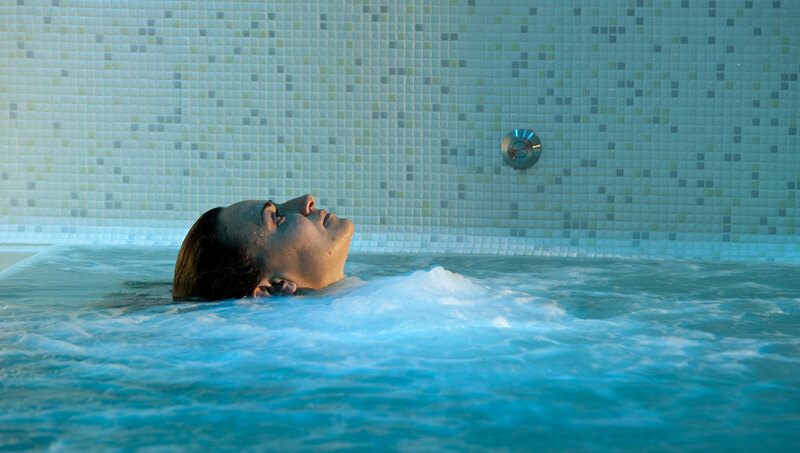 The waterfall massages the neck and shoulders, with the underwater air massage creating a geyser-like effect. During the day the light creates a warm and cozy atmosphere, after sunset the lights change to the colors of sundown in the indoor area. Enjoy the warmth and massage of the thermal water as your eye wanders to the sea and the horizon. Indulge in the wonderful view through the large panoramic window that separates the indoor area with lounge beds from the terraces with a solarium that overlook the sea. Once out of the water, move to the humid grotto inspired by Roman baths. Our spring heats the facility through the pit located beneath the benches and the small waterfall that falls down the walls. The full program includes a cooling phase between treatments; the cool pool providing an immediate toning and regenerating sensation. Step out on the terrace to cool the respiratory system. End your wellness program by trying the emotional shower that alternates hot and cold showers. The use of the area is free of charge and reserved to guests 18 and older.